I was reviewing the list of cards I haven't drawn yet (somewhere around 250) and decided to try one on a black background. 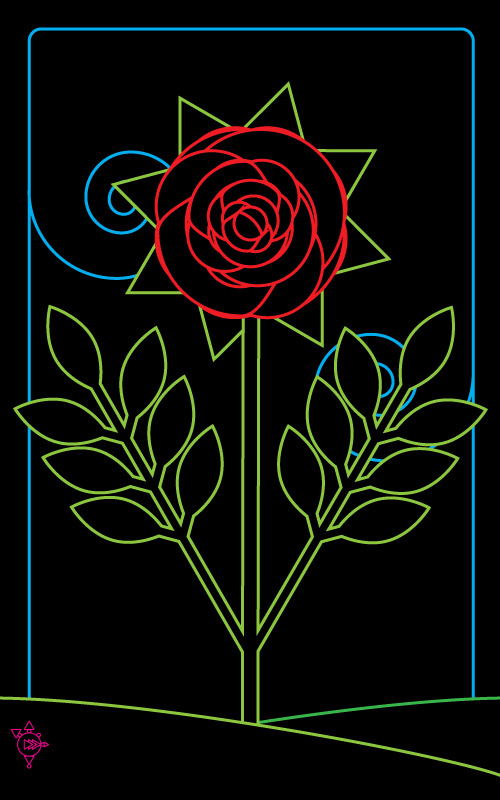 I opened the template I created a while back and started shifting the colors around. 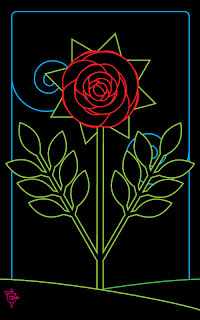 What emerged was this neon-esque version of the Ace of Roses.